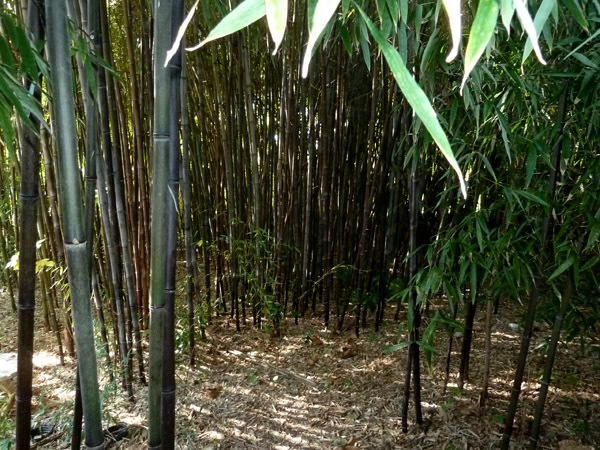 Another very popular bamboo, everyone seems to love Black bamboo. 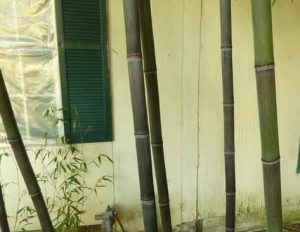 With dark brown to black canes it is a very distinct bamboo. 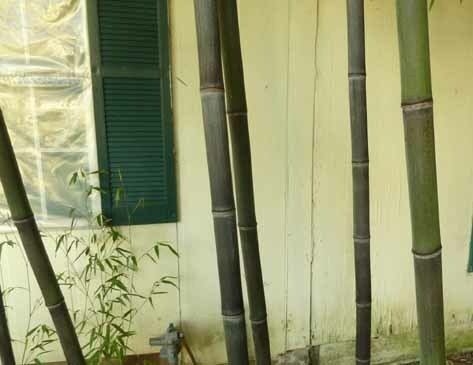 It makes an ideal planting in the garden and is also a good screening bamboo. The canes are ideal for crafts and construction. It is not as hardy as some and often suffers some top kill here in zone 7. It is a vigorous grower and spreads rapidly. The canes of Black bamboo are green when they first come up in the spring. It usually takes about a year before they turn completely black. During the change they have a mottled look that is really beautiful.